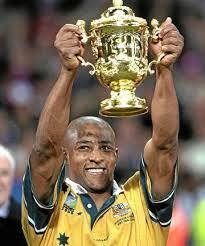 The most resilient, successful and influential Captain of the Australian Wallabies Rugby Union team. George always stuns me with his can-do attitude against irrefutably formidable odds and ongoing dedication to health and fitness. I like to think I know a lot of things, but I don’t know how George played all those international rugby games against the biggest, baddest and ugliest guys in the world and still managed to win and laugh about it. George is a great guy to train with and seems to be just at the beginning of his sporting career. His determined and focused attitude has always been inspirational to me and I hope to do all I can to impart it to you.